I quickly fell in love with the cute gray dots on the packaging. The main color of the pen is white and the gray dots and also the pink "etude house" words make it perfect! Rather than similar to pen, I think this product's packaging is more similar with pen marker. Another poin why I say this is similar to pen marker is the tip. Usually pen type eyeliner will has a thin tip but this one is different. It has a fat tip (the thickness is around 2.0 mm) and very easy to use. 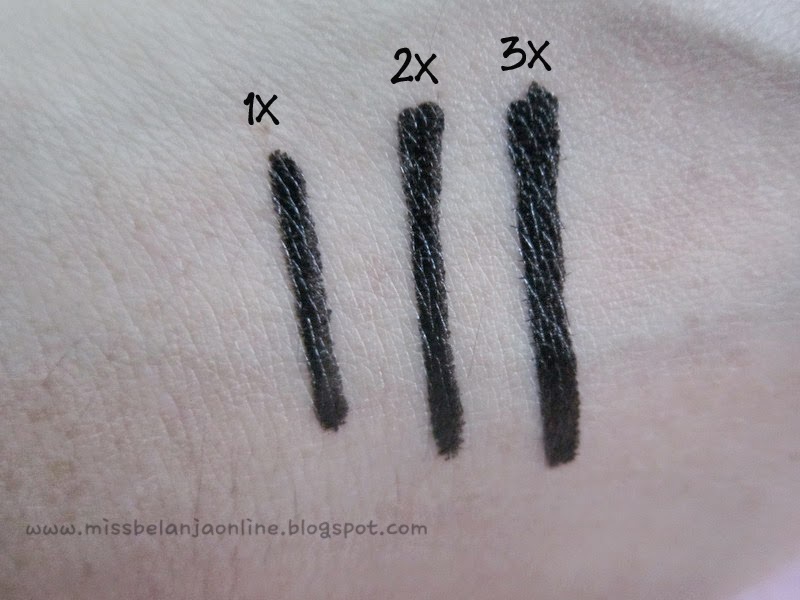 Like I've said above, the tip of this eyeliner is very fat so you only need to draw 1 time to get a nice black line on your eyes. If you love to use thick eyeliner *like meeee* you will love this pen *like meee* hehehehe. The color is very black and it dry fast. The formula is waterproof. Quick: I read the information on Etude's website and they describe "Quick" here because this eyeliner is quite thick and you only need to draw once to get a perfect line. And Yes! I also agree with this. Waterproof: Yes~It doesn't smudge even when I rub it while it's still wet! Safety: It doesn't contains formula that will make our eyes dry. Well, I don't have any problem after I use this eyeliner for a while, It also doesn't make my eyes dry/sore or something else. But I also never have problem with other eyeliner, since I don't have sensitive skin. So for me I will say yes for this poin. The price for this wonderful eyeline is IDR 106.000 and you can visit my lovely sponsor Bell's Etude House if you want to buy this product. Mention "MISSBELANJA" and you will get 5% disc for ready stock items. Disclaimer: This product was sent to me for review purposed. I'm not being paid for doing this review and all my reviews are based on my personal opinion and experience. Wow, warnan itemnya bold banget ya. Perdana kesini. Dan baru saja memfollowmu... salam kenal yah..
jarang liat review produk etude house yang ini. itemnya bagus ya. 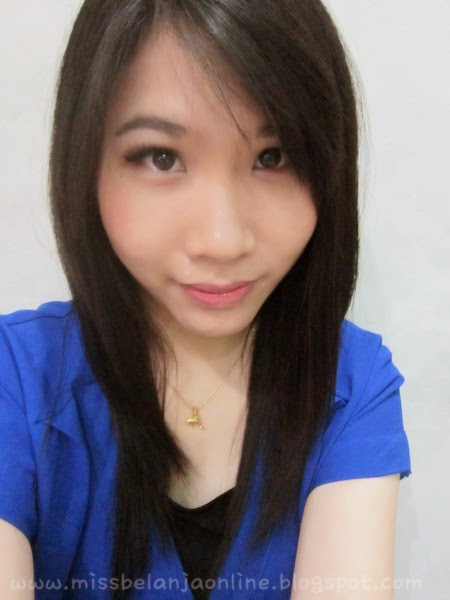 thanks for sharinggg.. tertarik sih tapi ujungnya tumpul ce >.< jd ga bs bikin wing eyeliner nanti..
i love it! great review!! Adding this to my wishlist! 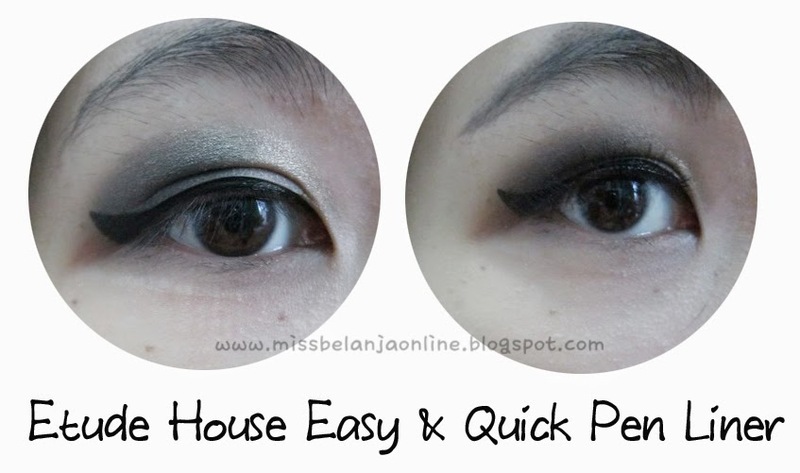 Thank you for sharing about this pen eyeliner from Etude House. I might just buy it to try. I agree that pen type is really a lot easier to use as opposed to the think ones coz the thin ones require quite some time of redrawing the lines. This might just be the product for many of us!